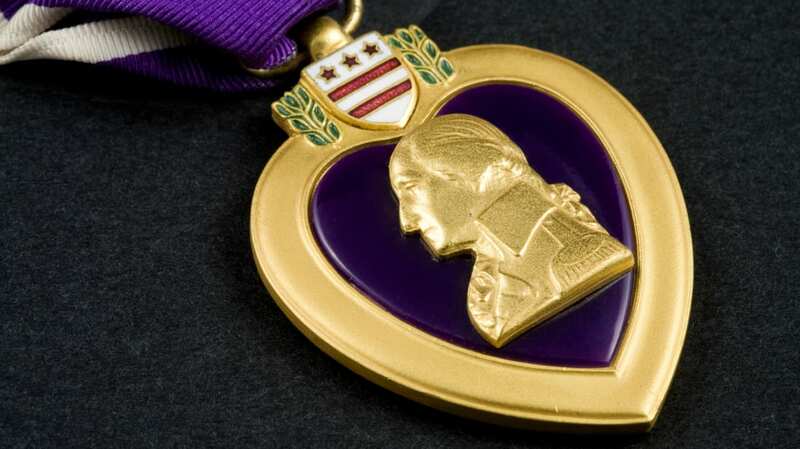 Most of you already know that Purple Hearts are medals awarded to soldiers who have been injured by the enemy while serving in the U.S. military (or posthumously to those killed in combat). But you might not know that these famous figures have received the medal, which was created by General George Washington on August 7, 1782. You know Charles Bronson from his roles in Once Upon a Time in the West, The Magnificent Seven, The Dirty Dozen and Death Wish, but did you know he probably never would have become an actor if it weren’t for the military? Bronson, whose last name was Buchinsky before he changed it, was so poor as a child that he once had to wear his sister’s dress to school because there were literally no other clothes for him in the house. In 1943, Charles enlisted in the Army Air Corps where he started out working as a truck driver, but eventually became a tail gunner in a B-29. After the war was over, he was awarded a Purple Heart for an injury he received in the service and used the GI Bill to study acting, which eventually helped him become the action hero we are all familiar with. James Arness played Marshal Matt Dillon in Gunsmoke over five decades, as the show spanned from 1955 to 1975 and then there were five more made-for-TV movie follow-ups shot in the 1980s and '90s. Arness (or Aurness before he started acting) enrolled in the U.S. Army in 1943. He wanted to be a fighter pilot, but with a height of 6’7”, there was no way that was going to happen, as the maximum height of pilots at the time was 6’2”, so instead he served as a rifleman. Unfortunately, his height singled him out to be the first off the boat to test the water depth for the other men, leaving him to be the first target for the enemy. As a result, Arness was injured less than a year into his service during an invasion on Anzio, Italy, when he was shot in the right leg. On the upside, his time in the hospital led to his work in television … eventually. That’s because the nurses kept insisting that with his booming, deep voice, Arness ought to work on the radio. After he returned home, he got a job as a disc jockey in Minneapolis, which is where he finally decided to try his luck as an actor in Hollywood. Despite having multiple surgeries and almost a full year of physical therapy, Arness was still bothered by his injury years down the line. Reportedly, he hurt intensely on the set of Gunsmoke when mounting his horse. Those familiar with The Rockford Files or Maverick certainly know who James Garner is. What you might not know is how much time he dedicated to the Armed Forces. When he was just 16 years old, Garner joined the Merchant Marines near the end of WWII, though he didn’t do particularly well there given that he suffered from seasickness. He later served in the National Guard for seven months before joining the Army and serving in the 24th Infantry for 14 months during the Korean War. While in the Army, James was injured twice. The first time he was hit in the hand and face by shrapnel from a mortar round. The second time he was shot in the buttocks by U.S. fighter jets as he dove into a foxhole. As a result, he received two Purple Hearts, although he didn’t receive the second one until 32 years later. While the movie version of The Thin Red Line was largely overshadowed by Saving Private Ryan, it did have the distinction of being based on a book written by someone who served in WWII. In fact, James Jones’s so-called “war trilogy” of From Here to Eternity, The Thin Red Line, and Guadalcanal and Whistle blend the author’s real war experiences with fiction so effectively that no one really knows which events are factual and which were created for the novels. What we do know for certain though is that Jones enlisted in the Army in 1939, served in the 25th Infantry, and was wounded on Guadalcanal, earning him a Purple Heart. Most fans of Kurt Vonnegut already know that he fought in WWII and was taken prisoner after the Battle of the Bulge. (It was the inspiration for his famous novel Slaughterhouse Five.) He was one of a handful of survivors from the American bombing of Dresden in February of 1945, and he earned a Purple Heart for his service. While you might assume that his injuries would have been obtained during the Dresden bombing, you’d be wrong. As it turns out, he said he earned the medal for a "ludicrously negligible wound" related to frostbite. If you’ve seen the movie or read Born on the Fourth of July, then you’re already familiar with the story of Ronald Lawrence Kovic. After all, the book was his autobiography. Kovic joined the Marines after being stirred by Kennedy’s famous “Ask not what your country can do for you” speech. He was sent on his first tour of duty in 1965 and returned for a second tour in 1967. It was during this second tour that he was injured, while leading his squad through an open area of land. Kovic was first shot in the right foot and then through the right shoulder, which left him paralyzed from the chest down. He received a Bronze Star with "V" device for valor and a Purple Heart for his service. After returning home, he became a peace activist and has since been arrested twelve times for his protests. In 1974, he told his story in Born on the Fourth of July. When Oliver Stone commissioned the story to become a movie, Kovic wrote the screenplay. 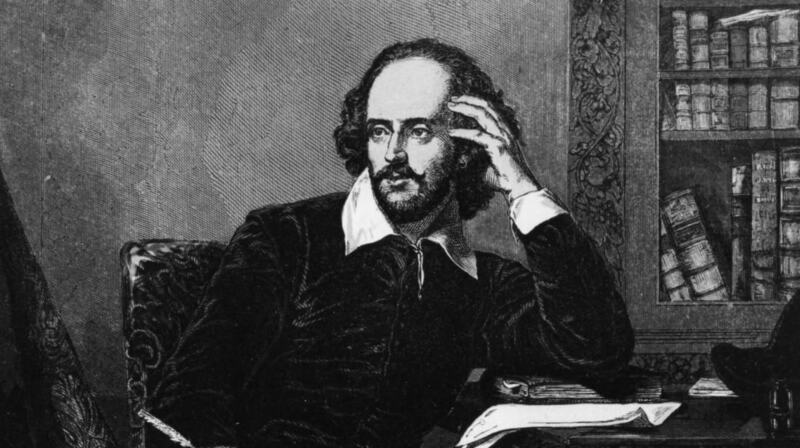 He received a Golden Globe for Best Screenplay exactly 22 years after the date he was injured in the war. Yes, the famous director not only made a film about someone with a Purple Heart and a Bronze Star for service in Vietnam; he has both medals from his time in the war as well. Like Kovic, he willingly signed up for the Armed Forces, dropping out of Yale to do so, and even requested combat duty in Vietnam. Stone was injured twice in the war and received the Purple Heart after he was shot in the neck. As you might have guessed, Platoon was based largely on the director’s experiences in Vietnam. If you’re a fan of The Twilight Zone, then you might be interested in knowing that it might never have been created if Rod Serling was never injured in WWII. The future writer was eager to enroll in the war to help fight the Nazis, but he was instead sent to the Philippines to fight the Japanese. He was put into one of the most dangerous platoons in the area, nicknamed “the death squad” for the high number of casualties suffered in the group. Serling was lucky enough not to be killed in combat, but he hardly came out unscathed. He was injured a few times in battle, but more dramatic was the severe trauma he experienced by serving in such a violent area. As a result, he was plagued by nightmares and flashbacks for the rest of his life. One more veteran with a Purple Heart who is certainly noteworthy, even if he's not a human, is Sergeant Stubby, our favorite K9 war hero and the most decorated dog of WWI. Stubby received his Purple Heart for an injury caused by shrapnel from a German grenade thrown into the trench he was in. After recovering, he returned to the trenches to help his fellow soldiers. This article originally ran in 2012.